If your home was built in the 1970s or earlier, chances are good that it is time to think about re-insulating. This is not a hard and fast rule, but it is true more often than not. 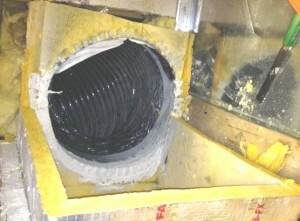 A consultation with an insulation contractor or company can help you determine if it is. The age of the home is not the only factor in the decision, however. There are other telltale signs that suggest it might be time to look into re-insulating. If you are experiencing, any of the following, it may very well be in your best interest to consider it. 1. Higher-than-average energy bills. Are you spending more to heat or cool your home now than you have in the past (adjusting for current market rates, of course)? 2. Uneven temperatures around the house. Is it colder downstairs than it is upstairs? Does the climate change considerably just going from room to room? 3. Drafts. Do you feel a distinct draft in the wintertime in specific parts of the house? 4. Excessive air conditioner operation. 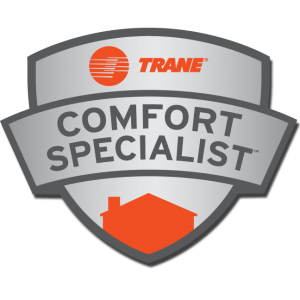 Does your AC unit seem to be working overtime in the summer? 5. Ice Dams. These can be indicative of heat escaping. 6. Melting patches on your roof after snow. This could be a sign of inadequate attic insulation. For many homeowners, though, knowing the signs and knowing how to determine the right cause of action can be two different things. It doesn’t need to be terribly difficult to inspect your current insulation scheme, though. The simple act of looking inside the HVAC closet or removing a faceplate from a wall outlet can literally give a clearer picture of what’s going on behind the walls before resorting to opening them up. For a more comprehensive picture of your insulation needs, consider a home energy audit. It isn’t the least expensive alternative but it is about the least invasive and the most comprehensive. It could save money in the long run by showing where work needs to be done and where you can hold off for the time being. There are many complicated equations that contracting and utility companies offer to determine the possible savings involved with raising energy efficiency. The simplest explanation revolves around a simple cost comparison. Your contractor can tell you approximately how much you can realistically expect the project to save you in annual energy consumption by percentage. Take that percentage and apply it to your heating and cooling costs over the past 12 months. Now, factor in the cost of re-insulating, including materials and labor. Divide the annual savings by the cost of the project and you get the number of years it will take for the investment to balance itself out. Again, a contractor can provide a much more comprehensive analysis but this is a good place to start. If you think you need to re-insulate certain parts of your home, chances are you’re right. Start by focusing in on the areas you know need work and expand the project accordingly based on cost-effectiveness. It really is the best strategy. Pure Air Conditioning, Naples, FL.